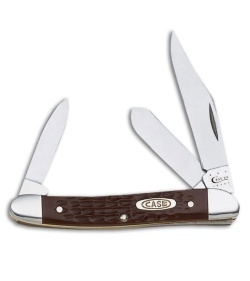 The 217 Working Medium Stockman pocket knife from Case Knives is outfitted with a brown jigged synthetic handle and stainless steel clip, spey, and pen blades (63087 SS). Working line Case Knives are designed to give team players a tool that works every bit as hard as they do. 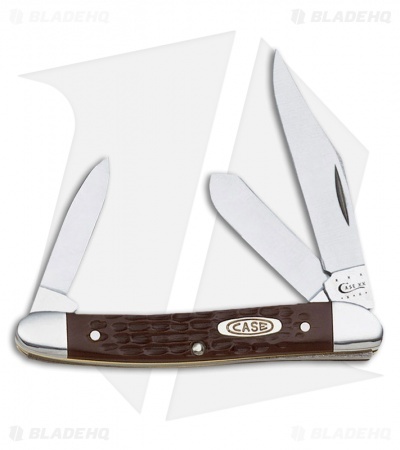 These knives have satin finished, Tru-Sharp™ surgical steel blades and the Case Oval Shield logo on the handle.